The colour of your pool’s interior may seem like a minor stylistic decision, but your choice will have a lasting and considerable effect on the look and feel of your pool. 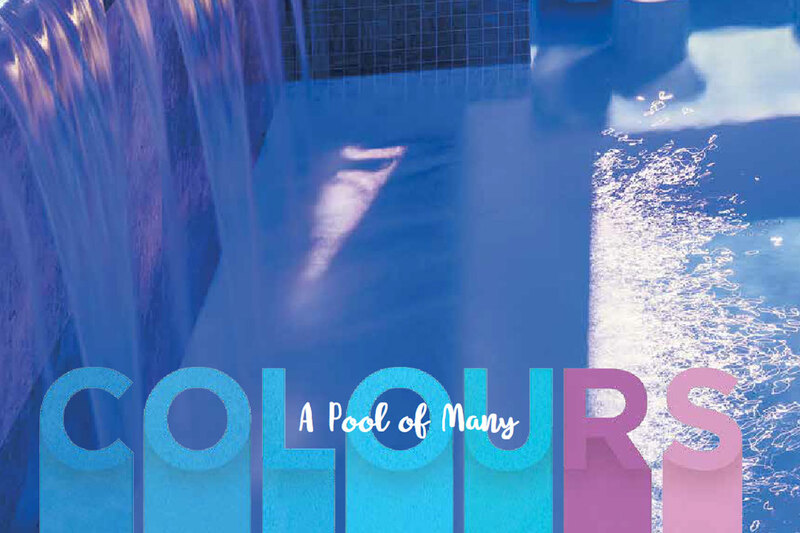 Cloé Timperley explores the important factors that you should consider before settling on your perfect pool hue. Will it have a tropical-lagoon vibe, or a sleek and modern aesthetic? Or will your pool be Mediterranean-inspired, in classically warm, rich hues? Ensure that your vision for the pool is in keeping with the aesthetic of the existing space; the theme of your home’s exterior and backyard will guide you towards a colour palette to work from. your pool’s appearance and functionality to a significant degree. You might think that settling on a colour is a simple task, but working with colour in the presence of water is surprisingly complex. An outdoor pool is at the mercy of the elements, so variables like a sunny or overcast sky, direct light and indirect light, depth of water and shadows will all affect the perceived colour of your pool. 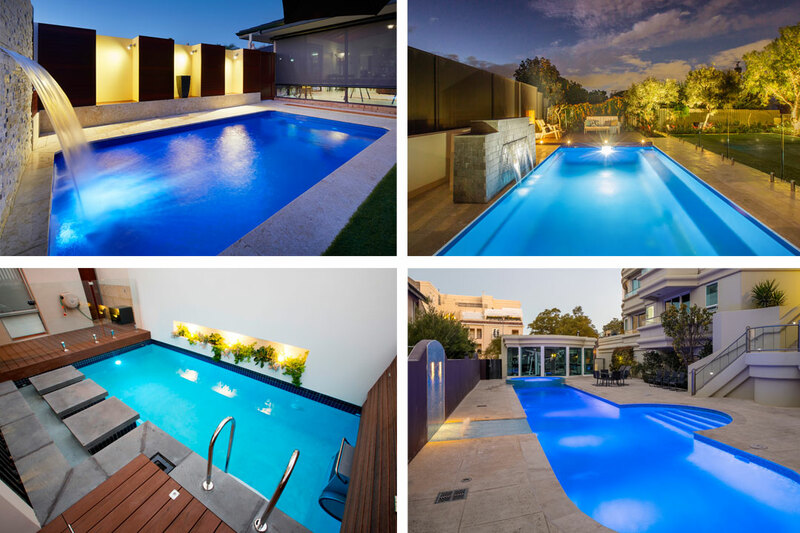 To make the decision-making process a little easier, Western Australia Pool + Outdoor Design has identified some key issues to consider before choosing your pool’s interior colour. The first thing that anyone notices about a pool is the blueness of the water. It’s important to realise that the colour-intensity of your pool water will be largely determined by the shade that you choose for the interior. Water is clear rather than tinted, so the colour that you decide on for your pool’s interior will affect whether the water is a soft or brilliant shade of blue. Choosing a lighter-coloured finish will produce the illusion of pale blue water, for a bright tropical-beach feel. At night, it’s much easier to spot a lighter-coloured pool, which could be an important safety consideration for families with young children. Further, a light-coloured pool is exceptionally responsive to pool lights, and has the delightful capacity to virtually change colour at night with the addition of some well-placed, coloured LED lights. Dark-coloured pool interiors have found favour lately for their exotic, resort-style ambience, and will result in dazzling, cobalt-blue water that’s sure to impress. A dark-coloured pool will appear almost black at night, so it requires underwater lights than its lighter-finished counterpart. However, a few strategically positioned pool lights in a dark body of water can deliver a dramatic visual effect. The relationship between heat absorption and colour is well-established, and your pool is not exempt; the colour of your pool’s interior will have a significant impact on the water temperature. This is one of the most important factors to consider, as the water temperature will play a crucial role in how much enjoyment you will actually get from swimming in your pool. warmth. The benefits of a warmer water temperature are worth bearing in mind. Firstly, it means that your swim season can start a little earlier and last a little longer. Also, if you’re concerned about cost efficiency, a dark-bottomed pool could save you money on energy expenses, as it requires less gas for a pool heater and less electricity for a heat pump. Lighter-coloured pools are more light-reflective than those with a darker interior, and as mentioned, the illusion of a much larger pool is the happy consequence. However, the intensity of light-reflection results in high potential for glare, which could be a concern if you don’t have a lot of shade in your outdoor area. On the other hand, darker-coloured pools reflect their surrounds, which creates a visually striking mirrored effect for a modern and moody atmosphere. A dark interior can also make a relatively shallow pool appear deeper than it actually is. It’s also important to note that the water in a lighter-coloured interior is far more transparent; your eyes will be drawn to the bottom of the pool and you will be more likely to notice any settled debris. As the water in a darker-coloured pool appears more opaque, it will hide any settled matter more effectively. This is certainly something to think about when considering the amount of money and energy you are expecting to put towards the upkeep of your pool. When designing or renovating your pool, the colour of its interior should be one of your first and foremost concerns. What may seem like a minor aesthetic decision could prove to have a significant impact on the look, feel and functionality of your pool in the long run, so make sure you treat this choice with a great deal of care. In doing so, all that will be left to do is jump in and kick back!